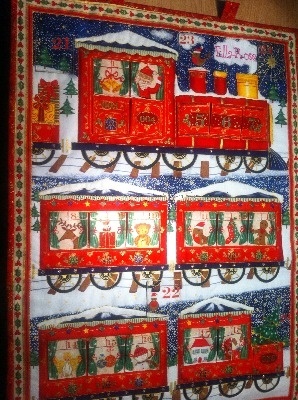 This cute little train is bringing lots of presents from Santa! With quilted detail and 24 pockets to fill with your own goodies, children (or adults!) can eagerly await for Santa's visit while being on their best behaviour! Make sure you order in plenty of time for 1st December! !